There’s a lot of communicating at work. It’s hard to find someone who wishes for more meetings, conversations or emails. Many workers feel inundated by the sheer amount of communications that’s required of them. For leaders in particular, it can seem as if you are never not communicating. Even when you’re silent, all eyes are watching for nonverbal cues. All of this is true, and yet, there are important conversations that don’t happen enough. A primary job of any leader is to motivate and inspire performance. We do our best work for managers that we know are invested in us. So while there’s a lot of talking at work, too often it’s just that: talk. It doesn’t move behavior and certainly doesn’t make us want to get up and do a great job every day. Instead, leaders would be better served by prioritizing the conversations that matter. One common issue I hear from leaders is that there simply isn’t enough time to have all of the communications they’d like. They’re so busy “doing work” that they can barely keep to a regular 1-2-1 meeting with their direct reports. First, realize that a leader’s “work” is getting work done through others, and that requires having a transparent, informed relationship with one’s team. Time upfront building relationships pays off with time savings down the line. Second, all of us waste time in misdirected activities that are urgent but not important. Instead of thinking of having more conversations, consider how to have better ones. Here are four conversations that every leader should be having on a routine basis. Have these talks, and you’ll certainly have better action. The typical conversation at work has an agenda – usually the leader’s but not always. These conversations are narrow and focused, and are meant for fact finding, analyzing, judging or generating activity. We need those types of conversations, but there’s another important kind: the open conversation. Open conversations are meant to be expansive, and to widen perspectives. They don’t have an agenda beyond curiosity and learning. They are where we hatch our best ideas, gain insights, and broaden our viewpoints. They aren’t rushed, and thus show real investment in the other person. Leaders should consider having open conversations with their teams and colleagues periodically, as a way to engage and build the relationship. The pretext might be a check-in, an offer of help, or thought-partnership to process an issue. To be most effective, be careful to not direct, but to give the conversation room to breathe. Ask open ended questions, and stay present. There doesn’t have to be a clear-cut takeaways. The conversation itself is the goal. We’re holding the space and that’s meaningful enough. Recognizing someone’s potential – sincerely and specifically – is among the most inspiring conversations a leader can have. Leaders have great influence on how their workers view themselves. As the Pygmalion effect demonstrates, people rise to their leader’s expectations. If we have potential conversations at all, they’re usually at the end of a yearly performance review. While it’s better than nothing, saving this powerful – even career-changing – conversation for a rare event most people loathe makes little sense. In his book SUPERBOSSES, Dartmouth Professor Sydney Finkelstein found that the world’s most extraordinary bosses bring out untapped talents in their people. Recognizing and articulating someone’s potential creates a virtuous cycle where people do more because they believe they can. Managers usually know very well the strengths of their team members, but they don’t take it a step further to discuss the potential those strengths open up. Potential conversations simply state what you see is possible for someone else – whether direct report, colleague or friend. They don’t have to be carefully worded. A simple “I see this in you” or “You’re at your best when you do that” goes a long way. Having a leader who’s looking out, and guiding you, toward you potential supercharges engagement. Energy is a limited resource that fuels everything we do. The greater our energy level, the more we can accomplish. Energy elevates our mood, and infuses positivity. It makes sense that if you want your teams to do their best work that they need to feel energized. Not that anyone feels 100% energetic all the time, but that generally there’s a healthy amount of get-up-and-go behind the work and aspects people are excited about. Leaders should be having conversations about energy level regularly. This includes checking in to gauge it, noting when it’s lagging, and acknowledging when it’s present. Energy is a leading indicator of many issues at work. By noticing it, and addressing it directly, you can better ensure that your team members maintain the level of energy they need to be successful. Finally, leaders should be having conversations with their teams around purpose. These conversations are often avoided because they seem too thorny: Who am I to wade into someone’s life purpose? But we don’t have to reach that high. It can be inspiring to have someone shine a light on our contextualized purpose – helping to link our work to what’s meaningful to us at this moment in our lives and in our careers. Given the choices we have before us, why are we doing what we’re doing? Everyone wants to feel a sense of purpose: whether they’re in a first job or the CEO. Purpose can be hard to grasp, and easy to lose when we do have it. 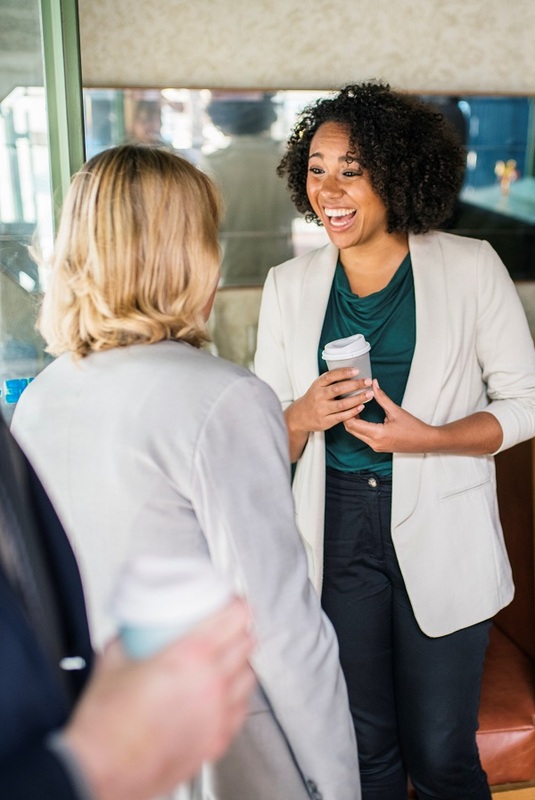 By engaging around this topic, leaders help others to connect the dots that provide an insulating layer of meaning around the swirl of a busy job. How do you prefer to work in relationship to others? Because purpose is so personal to each of us, having a leader who is willing to go there with us shows a level of care for others not just as workers, but as human beings. And in doing so, it builds loyalty and followership, which supports greater performance. « Do You Need to Break Up With Your Phone?